Are you looking for a new challenge now that you’ve completed your first 5k? A 10k run is the perfect middle step between a 5k and a half marathon. This year Blue Cross Blue Shield of North Carolina is hosting its first Desk to 10k program for team members. It’s a program designed to complement our Desk to 5k program, which is now in its fifth year. We hope to encourage participants to take on a new challenge. Want to join in on the fun? 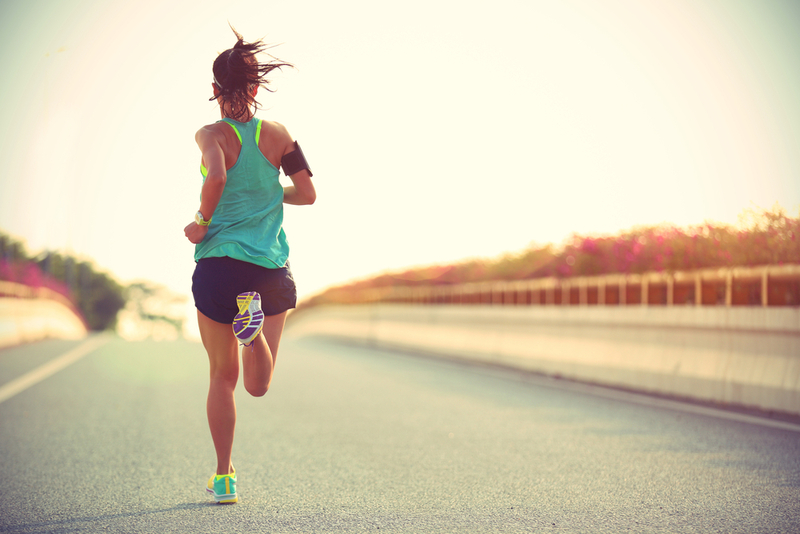 Below are fifteen runs that will help you achieve your first 10k. Running three to four times per week will give you four to five weeks to train for this race. Space out the runs so that you are not running on back-to-back days. Run at a comfortable pace. If you are not ready to run the entire time, then I recommend running until you start to feel like you can’t, then walk until you feel like you can run again. Want a time to aim for? Start with 2 minutes running, 60 seconds recovery. Then, each run, start to chip away at recovery time until you don’t need it. 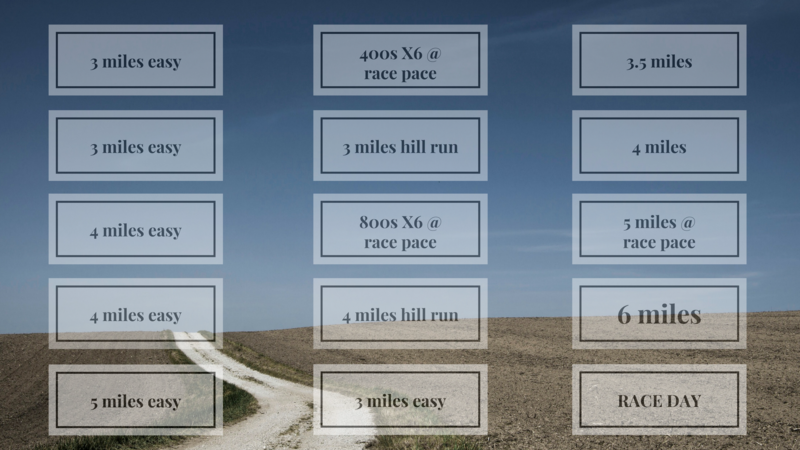 Why do an easy run? Easy days help you recover while still getting your body used to running on a regular basis. Use this run to focus on your form, especially your stride and foot strike. A 400 M is a quarter mile or one time around a traditional track. I recommend doing this workout on a flat greenway where the quarter miles are marked, a track, or the treadmill on a 1% incline. For this workout, you will repeat per the prescription (so X4 means repeat four times) and at the pace prescribed. Note that these are not sprints. For distance running we are trying to get used to running race pace or get faster, but either way this will not be the fastest 400 you can run. It is more important that you run the same speed for each repeat so you learn how to keep a certain pace. An 800 M is a half mile or two times around a traditional track. Similar to the 400s this is best on a marked, flat trail, track or treadmill. Remember, you want to run all repeats at the same pace so don’t sprint the first one. Practice makes perfect. Learning how to run at the pace you want to run the race at is key. After years of pacing people, I have learned what a pace feels like. Repetition is important here so that is why I incorporate race pace during repeat days a lot. It is important to time these runs with a stopwatch so you can keep track of your time and make sure you are staying on pace. If needed, do a few of these runs on a treadmill so you can learn what the pace feels like – just be sure to put the incline at 1% to make the resistance more similar to running outside. I recommend running a further distance for the 5K and 10K distances even for beginners. This will give you the confidence you need on race day to know that you CAN run the distance. Run this a little slower than your desired race pace. This is a great run to do with a group. Find a hilly route with a softer surface to get even more out of the run. Want to join us on race day? We will be doing the 13.1 series in Raleigh, NC in October. Find out more on the 13.1 race series homepage.